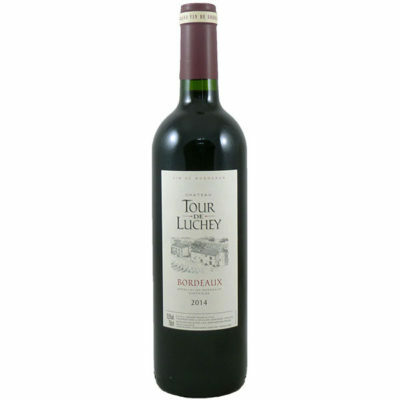 Chateau Tour De Luchey Bordeaux wine is a Merlot dominant estate on the silty banks of the Dordogne river. The Luchey was the king`s usher who occupied the medieval tower on the estate and monitored cargo bound for the royal courts. This supple blend is vinified to preserve the youthful charm and ripeness of the fruit and offer an attractive easy drinking blend. It is luscious, well balanced with red fruits good weight and ripe tannins.